The Malcolm X Resource & Learning Centre schedule is a Provincial/State & International community driven project that paves the way for many opportunities in the form of individual personal development, creativity and wellness in the fields of Art, Technology, Food Science and Youth Community Activism and including, other related areas of growth that benefit whole communities. Through the intial partnership with Malcolm's sister Yvonne, culturally diverse Resource & Learning Centres will form under the support of direct Membership contributions towards this Provincial/State Trust Account. 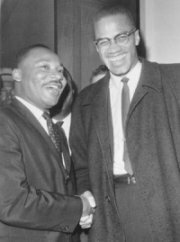 In addition, job creation, and on-going training and self-exploration opportunities will also move this program forward as National & International participation takes place, and brings about the necessary foundation in order to introduce permanent solutions towards alternative learning via Malcolm X Resource & Learning Centres that promotes diversity and self-awareness on a individual basis all across the Nation. .......NU Foundation For Community Partnerships and our Partner Hosts Organizations to Nu-Nations Unity™ understands the importance of fostering diversity that offers reliable options to educational alternatives for individuals and high risk youth, as means to re-build up our communities were services to all people in one form or another can be met. 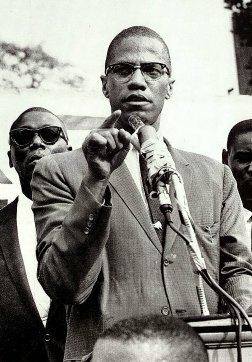 Consequently, all Malcolm X Resource & Learning Centres will help to create awareness in the area of personal growth; and in addition too, providing an added doorway to cultural participation so that the philosophy of "It takes a community to raise children" can propel this total interactive Educational National Movement forward, as a sound effort to secure and maintain the future of all children regardless of their ethnic heritage, age or gender well past into the year 3000.